"A Classic Story of Sacrifice and Forgiveness "
THE LION, THE WITCH AND THE WARDROBE is a classic 1979 animated retelling of the C.S. Lewis novel of the same name about the four children who travel to the magical world of Narnia through a wardrobe. THE LION, THE WITCH AND THE WARDROBE is great for children, with biblical lessons, theological depth, and no objectionable content, but there are some light intense story elements. THE LION, THE WITCH AND THE WARDROBE is a classic 1979 animated retelling of the C.S. Lewis novel of the same name. It tells the story of the Pevensie children, Peter, Susan, Edmund, and Lucy, who live with their grandfather in London during the air raids of World War II. After a game of hide and seek, the youngest, Lucy, runs out of the wardrobe claiming she had just been in a magical world called Narnia which is ruled by the Wicked White Witch. She tells Edmund, Susan, and Peter she had met a nice fawn named Mr. Tumnus who let Lucy go instead of turning her over to the Witch. Of course, her siblings don’t believe her. However, Edmund, the meanest of the siblings, sneaks into the wardrobe and discovers his sister was telling the truth, there is a magical land inside. He runs into the Wicked White Witch on her sleigh. The Witch knows that any “son of Adam” or “daughter of Eve” is a threat to her tyrannical reign of Narnia. So, she indulges Edmund in delicious Turkish delight and convinces him to lure his siblings to her. Edmund and Lucy bring Peter and Susan back to Narnia. When they all get there, they discover the White Witch has ransacked Mr. Tumnus’s home. Mr. and Mrs. Beaver find them and take the siblings to their home. There, the children learn that Narnia is actually ruled by the great lion Aslan who’s very good, but who’s been gone for a long time. While they’re with the Beavers, Edmund sneaks away to find the White Witch, so he can have more Turkish delight. Of course, the White Witch is very unhappy when Edmund shows up without his siblings, so she ties him up. Now Lucy, Susan, and Peter must save Edmund, but it’s too dangerous for them to do it themselves. Will Aslan come back to save the day? The animated THE LION, THE WITCH AND THE WARDROBE (1979) is a great movie for children. The animation is state of the art for back in 1979, but the movie is engaging and the dialogue is simple for children to follow. The music is very great. There’s clear symbolism throughout the movie that references Jesus Christ’s sacrifice, crucifixion, and resurrection as Aslan sacrifices himself for the children. For a deeper dive into the theological depths of C.S. Lewis’s Narnia, read our review for the live action remake. There are other messages children can get from this animated movie, like forgiveness, redemption, sacrifice, and faith. There are some light scary moments, and death, so caution is advised for young children that are easily scared. Editor’s Note: Dr. Ted Baehr was the President of the non-profit ERTVF which held the rights to THE CHRONICLES OF NARNIA, which included THE LION, THE WITCH AND THE WARDROBE. When the company that ERTVF hired to produce the movie asked to make Lucy the central figure with powers such as healing Aslan on the Stone Table, Ted helped them to understand the importance of the Aslan representing Jesus’ death and resurrection, which saves all of us who call on Jesus’ name. Ted also developed the highly successful release and distribute of the videos of the production. Siblings are sometimes mean to each other, but they reconcile at the end. 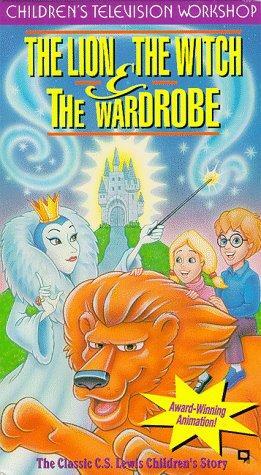 THE LION, THE WITCH AND THE WARDROBE is a classic 1979 animated retelling of the C.S. Lewis novel of the same name. It tells the story of the Pevensie children, Peter, Susan, Edmund, and Lucy, who live with their grandfather in London and discover a magical wardrobe that can transport them to the wonderful land of Narnia. In Narnia, the creatures are ruled by the Wicked White Witch, but a prophesy says that four humans would come to Narnia to defeat her and rule the land with goodness. THE LION, THE WITCH AND THE WARDROBE is a great movie for children. Despite its age, the movie is very engaging and entertaining, and the dialogue is simple for children to follow. The music is excellent. There’s clear symbolism throughout the movie referring to Jesus Christ’s sacrifice, crucifixion and resurrection as Aslan the lion sacrifices himself for the children. There are other messages children can get from this animated movie, including forgiveness, redemption, and faith. There are some light scary moments and death, so caution is advised for young children who are easily scared. BRINGING UP BATES: It’s a Boy, and Maybe One More? BRINGING UP BATES: Ready or Not, Baby Kade Is on His Way!